Teachers play many important roles in the life of a child – that of an educator, mentor and a friend. They inspire, discipline, and inculcate values of thinking, reasoning, self-learning and exploration. They are one of the strong influences in developing the child into a responsible adult. And to recognize these efforts of the teachers, this year Target employees decided to do their bit. 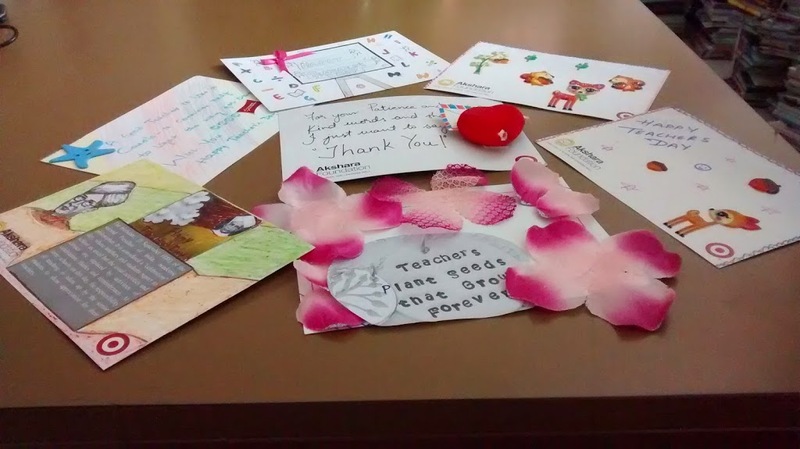 As part of the Teachers Day celebrations, over 150 employees from the Marketing, HR, Merchandising, BI and Finance Team of Target and their families, made personalized ‘Thank You’ greeting cards to be distributed to Government school teachers in 360 schools across Bangalore, Hoskote and Mundargi. The whole activity was driven by a core group of volunteers who not only handled distributing and collecting back the cards; they also promoted the activity within their team and encouraged their team members to participate. The whole activity took one week. The end result was 1800 beautifully handcrafted cards. Such small gestures from the civil society does go a long way in encouraging Government school teachers to do their job well and deliver quality education to children. 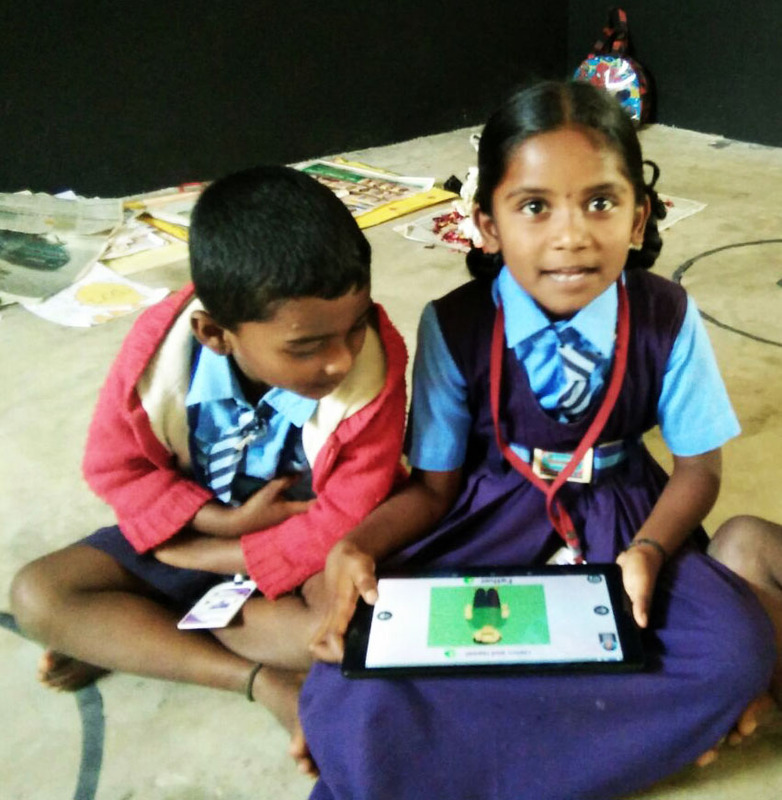 The Kustagi team conducted twenty camps during the Dasara holidays with the help of 83 trained volunteers, reaching 1,052 children of 3rd to 8th standard at twenty villages. Excellent support was drawn from the community, schools, the officials of the Education department and the media. The team planted 324 plants during the six camps. The camps were conducted at zero cost, however, the community and the schools helped raise Rs.2, 34,710 in cash and kind. The BEO, BRC and the nodal person for Akshara activities Mr.Sharnappa Nagoor and the BRP were informed about the camps requesting them to provide a room and the support from the school authority while conducting the camps. Based on the experiences of summer camps, the team selected five volunteers from the field. Most of these volunteers have completed D.Ed, while some are pursuing graduation and some others studying at the Pre-University College. Twenty villages were identified and finalized for the camps. Letters were sent to all the Head masters/mistress by the Block Resource Coordinator (BRC) to support the team while the camps were going on. The CRPs were made in charge for the camps and the donors were identified. One day training for 83 volunteers in two batches was held on 7th and 8th of October-13 by the District and Taluka coordinators. A brief introduction about Akshara Foundation and the work done in the Kustagi block was given. To break the ice the volunteers were made to play memory games. Further information about ASER, tree game along with tips were given to the volunteers. They were also told in detail about the street play on the awareness of education. Competitions like pick and speak and construction of different themes out of Lego bricks was done to give the volunteers a fair idea about the same to be held during the habba. The volunteers and the cluster facilitators led the children in a PRABHATPERI shouting the slogans related to education in the entire village, which attracted the attention of the community people towards the camps. The Head master and SDMC shared the responsibility in arranging the inaugural function in the school premises. SDMC president, Gram Panchayat President/members, leaders of the village, the Cluster Resource person, the school Head master/mistress and invited guests were present at the inaugural function. Katapur is a village which belongs to Hanumasagr, Kustagi block. The camp was conducted at HPS Katapuras as per the request made by the Head master and the community. Mrs. Netravathi Patil, Police Sub Inspector for Hanumasagar was invited to inaugurate the camp. She addressed all the children and said to dream big. She also appealed to the parents to send their children to school regularly. She specifically emphasized on educating the girl child and abolishing the practice of child marriage. The PSI spent her time until the lunch break and observed the activities done in the camps. She was all praises for Akshara and thanked for taking up such an effort to make the children happy. Activites like memory game, fun games, making the village map with the help of the volunteers, constructing the Lego models using the Lego kit, some outdoor games and rhymes and action songs were conducted which not only kept the kids in the classes but also engaged them creatively. Competitions like pick and speak, drawing, English and Math quiz, musical chair and language game brought healthy competition between each group. The children practiced street play, drama and a variety of cultural activities to entertain their parents and the community in the evening. Special activities like making flower bouquets, rangoli competition for children & the women, the dance and drama by the youth, planting the trees were the main attraction during the camps. 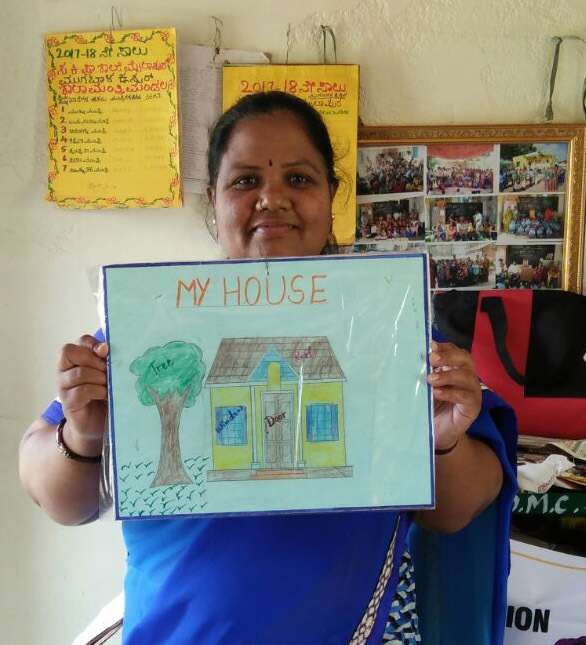 • Savitha Hiremath from 7th standard says, “I am the eldest daughter at home and have to always help my mother at home as well as in the field. I convinced my parents and attended the camp. I was elated to be a part of this camp, it was a different world for me which I had never dreamt of. These three days of the camp has gifted me a new life. I will study well and make sure to be useful to the society”. • “I watch the quiz competition on the TV. But I literally faced it in the camp. I liked the quiz competition”. Says, Shivkumar Gadad from 6th standard. 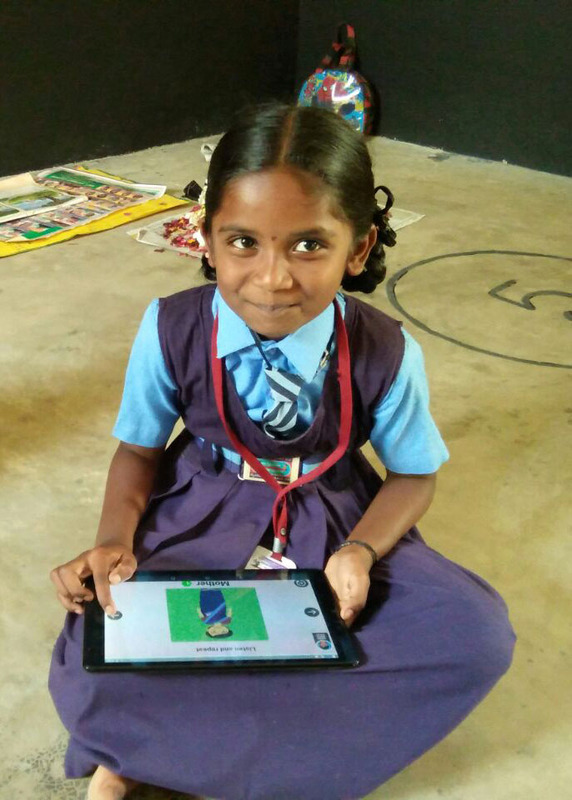 • “All this while I was just studying without any goal, but the Doctor (invited resource person) made me dream and told me how to reach the goal” expressed Akshatha Jigeri from 8th standard. Conducting ASER test to all the children who participated in the camps was the major task given to the Akshara team. The test was conducted using the ASER tool which includes Reading ,basic Math and English. Of 1,052 students, 1,001 attended for the ASER test. The results showed that, 18% of the children are able to read the sentences and 42% of the children can read the story. 26% of the children could do the subtraction and 14% could do division while 16% of the children are unable to identify, 1-9 numbers yet. 24% of the children could read capital letters in English and 36% of them could read the small letters. 26% children could read simple words. Community involvement could be seen almost every day during the camps. On day 1, the community was invited for the inaugural function, on the second day the community gathered after 7 PM to watch their children perform at the cultural programme and to listen to the message by the guests. Similarly, all were present on last day of the camp for the valedictory function. A huge chunk of people gathered for the cultural program. It was a good platform to address the community. Dist coordinator, Taluka coordinator, the CRPs, HMs, SDMC President and the Gram Panchayat President /members spoke about the significance of education and requested the parents to send their children regularly to the schools. The children staged a drama on Child marriage, Drop out school children in order to spread the awareness. It was an effective message for the parents and the community by their children. The camps conducted at Shiragumpi, Ganganal, Nerebenchi, Kadekoppa, Hulsgara, K.Boduru were memorable ones. The participation of the youth, community, the parents, the Head master, the CRPs and the school teachers was highly commendable. The camps seemed like a festival in their villages. The SDMC and Gram Panchayat, took a vow to regularly send their children to schools and help them to dream high. Many parents expressed that, they will strive hard to fulfill the dreams of their children. 324 plants were distributed and planted during the camps in these schools. • “Camps like this really helps improve the overall development of the children, such camps should often be held, and we will support and carry on the camps in our village”. 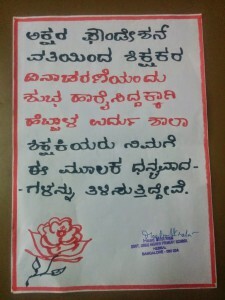 Says, Mr.Hanmanthpppa Kodagali the SDMC President. • Mr.Sangappa Gorebal the retired teacher of Bodur expressed that many people gather for the political issues and village festivals. But for the first time in his life, he has seen people gathering for the purpose of education. He had seen the camps in urban places but had not witnessed such an innovative camp which strived towards community awareness. He thanked and applauded Akshara Foundation for the initiation. He was one of the donors for the camp. • Mr. Neelappa Chavan the President of Gram Panchayat of Kyadiguppa opined that, “ It is a good plat form to bring out children’s talent. We the committee will add this plan in our agenda and conduct the camp with help of the school teachers and volunteers”. • Head Master Mr. Prabhakar Vijapur from Bodur said, “ Akshara Foundation has done some wonderful work for the Department. Whenever we call the parents they never turn up but through this camp almost all the people turned up. It is a good effort to spread the message of importance of education. The competitions like, quiz, language game, tree game and memory game will be continued to be conducted in my school, Thanks to Akshara”. • A Head master from Gangnal says,“We have seen the children attending camps in cities and town but this time many of our village children are the beneficiaries. Thanks to the volunteers and Akshara for the effort”. • Mr.Nataraj the CRP of Bodur cluster said that, he has seen many organizations working in his service but never seen such activities and the concern towards the children and the community. Akshara’s systematic approach towards with education is appreciable. Balanagowda Patil from Gangnal says,” I attended the volunteers training in Kustagi block just to kill the time. The talent of the children seen on and off the stage has made me speechless. The concern, selfless effort of Akshara Foundation is praise worthy. I have felt the joy of giving my time and gained a lot for my life”. Mr.Kumar G from Amaravathi, says,“ I had heard of such camps happening in the towns and cities. But Akshara brought this to our village and I am proud to be a part and lead the camp. It is one of the successful programme for the children and the community”. Mr.Nirupadi from Kalamalli village views, “The camps organized by Akshara Foundation made the children happy and also brought about awareness among the people of the village. The drama presented by the children was an effective message to the parents”. I have come to know the learning levels of the children of my village through ASER test. I have learnt the names of many trees through the Tree game. I drew the map of my village. Lego was a wonderful kit for the children. I learnt how to conduct the camps in my village”. Says, Yamanoorappa Bandihal from Nidasheshi village. 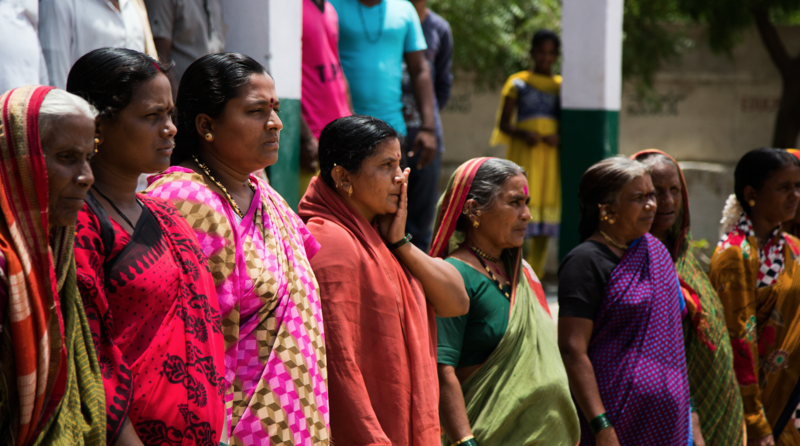 • “It was a wonderful experience to organize the camps, but with the help of the community I learnt to organize function, gained the confidence of the people and faced the media” Says Mr.Sangappa. • Mr.Manjunath gladly says: “The experience of the summer camp gave me a lot of confidence. Both the camps have given me a high satisfaction. My hard work can be seen in the village. Everyone in the village recognizes me”. 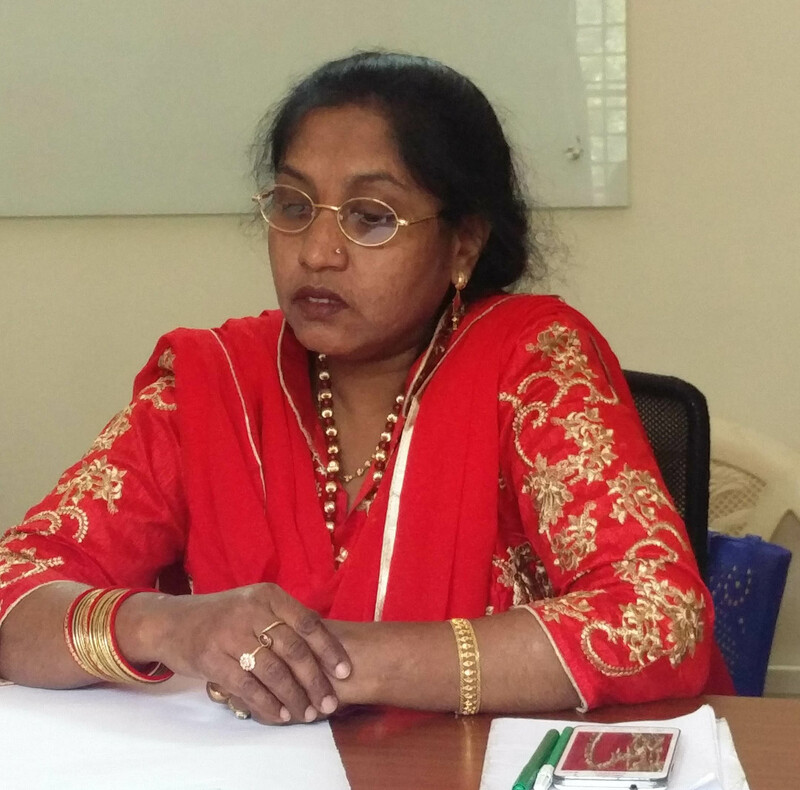 • Ms.Shailaja says, “I can deal and organize any program related to education in the community. I have gained a lot of confidence by this camp”. • “Initially, I was not confident about myself, I spent sleepless nights but now, I feel that, everything is possible if there is a will” explains newly joined CF Mr.Doddappa. • Mr.Shivappa adds, “I was suffering from inferiority complex but through these camps all my doubts have vanished”. • Mrs.Akkamahadevi asserts: “These two camps have added to my confidence level when to summer camps”. • Mr.Sharanappa shares, “Everything is possible if we go with the good will”. 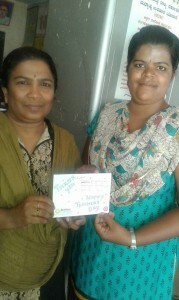 • Mr.Doddangowda says,”I have learnt how to communicate and organize the events with full confidence. • Once again, I feel proud to say that, I am a block facilitator of Kustagi block for Akshara Foundation. The camps have thrown the light on the block and many officers, the teachers and the people recognize me. I have put in my best efforts at the camps” opines, Mr.Umesh Meli the ‘Taluka Facilitator’. Akshara Foundation team in Kustagi, with many experiences has been able to successfully conduct twenty ‘Educational camps. Through these camps, we have brought a smile on 1,052 children. The village map, Tree game, ASER, street play, Drawing and Quiz competitions, Lego, Outdoor and Indoor games, Action songs and many other activities have retained in the young minds of the children. The cultural activities performed by the children and the youth, Rangoli competitions for the women in the village were interesting to note. All these showed the participation of people. Approach in the community, the support of the volunteers, school HM, CRPs, people of the community has doubled the confidence of all the CFs. This Dasara vacations, the children once again had the chance to witness and participate in a camp that they added to their list of festivities. The Dasara Camp was held from 4th October to 19th October 2013 at Hoskote, Bangalore. It was held at Govt. Higher Primary School, Karapanahalli, Hosakote taluk; two villages M. Hosahalli & Karapanahalli in Shivanapur cluster were a part of this camp. A total of 14 Dasara camps held in the taluk, this being the last one.This was a 3 day camp which included Lego activities, play trees, memory game, village map, ASER test, musical chair, quiz competition-maths & English, craft, language game, pick & speak, drawing, painting, guest lecture, etc. Over three days, 70 students from class 4th to 7th participated in this camp. This village is home to around 200 households with a population of 800 people. Approximately, 500 members from the community were present. Organizations like Shikshana Foundation, Hosakote; Swami Vivekananda Charitable Trust, Nandagudi; Local Gram Panchayat; Youth Organizations, Women Organizations participated actively to make the Dasara Habba a grand success. About 400 plants donated by plant nurseries were planted. Shivanapur Gram Panchayat President & Members, SDMC members, school teachers etc.showed active participation on all three days of this camp.The effort was appreciated and applauded by lawyer Mr. Jagadeesh-during his guest lecture.The head teacher & other teachers of the school opined that this camp had been a great platform for the community to interact effectively with the school authorities as well as the SDMC. The community were of the opinion that camps like this inspired them to send their children to the Govt. Schools. In total, a sum of Rs 30,000 was spent by the community for this camp. Students performed cultural activities like Kamsale dance, folk songs, drama etc. as part of this valedictory program. Staff members,volunteers of Akshara along with volunteers from the other organizations were present at the valedictory function. 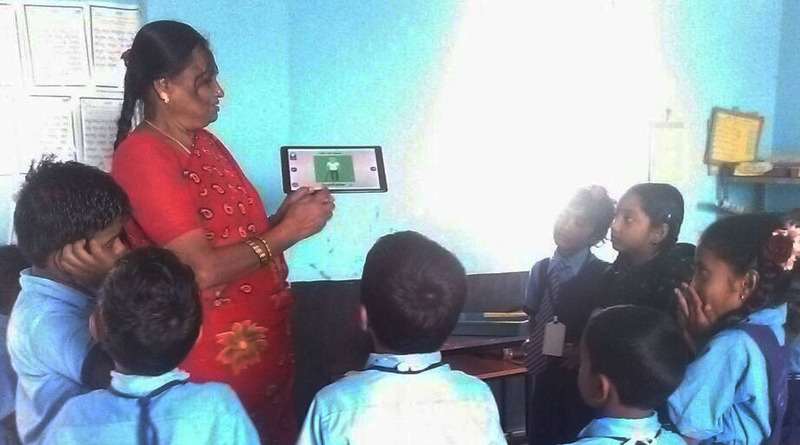 A presentation of the work done so far by Akshara Foundation was shown to the organizing authorities using a LCD projector in an open place. The credit for the success of the entire camp goes to the team led by Srinivas (Taluk Coordinator) and the Field Coordinator Mr. Lakshman. The festival was a huge success and newspapers wrote about the Dasara camps in detail praising the efforts of everyone involved. 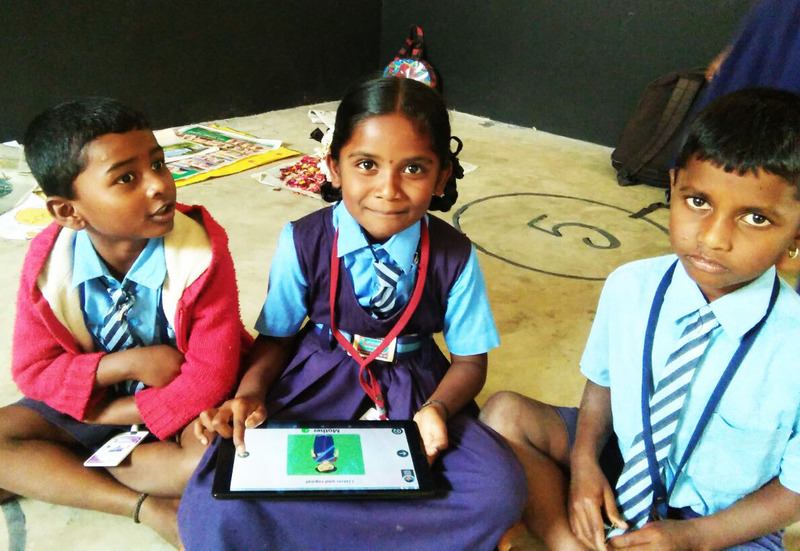 The operations teams at Akshara had a crowded schedule in September. It was hectic and fulfilling. So much to do, in the short span of the Dussehra-Ramzan holidays. The Makkala Habbas, or children’s festivals, they organised in the four Blocks of Hoskote, Devanahalli, Kushtagi and Mundargi called for a heightened efficiency. The teams selected 12 villages in Hoskote Block, 2 in Devanahalli Block, 20 in Kushtagi Block and 10 in Mundargi Block for the Habbas. 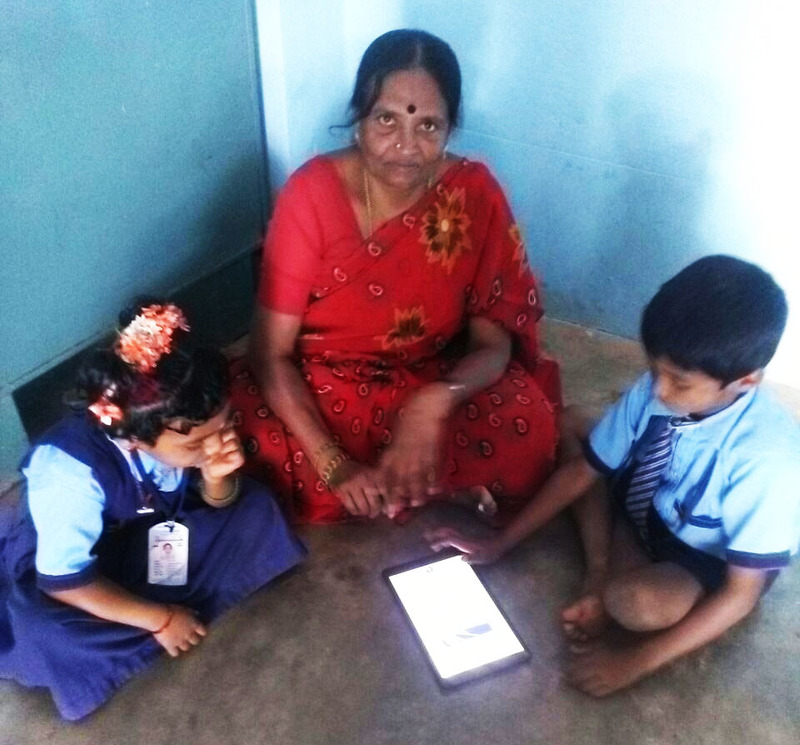 In September, Makkala Habbas took place in: 9 villages in Hoskote Block, 1 village in Devanahalli Block, 10 villages in Kushtagi Block and 5 villages in Mundargi Block. The rest of them were scheduled during early October. The Habbas were three-day festivals at each location, and the details that had to do be dealt with were huge; every minute aspect to be attended to. Everything had to fall into neatly programmed slots and then emerge as a choreographed whole on the day of the Habba in each of these villages. All stakeholders had to be contacted in person and their involvement and support secured. They included parents, school managements, youth groups, gram panchayats, community based organisations and self-help groups. And children, who needed no persuasion. A timetable was drawn up for the three days, and the list of items to be organised tackled. Habba schedules; donor support; logistics and preparation; themes for children’s activities and talent shows; the inauguration, the closing ceremony; the topics for guest speakers; community programmes like cultural activities focussing on education, discussions and exchange of ideas; invitation cards, advertisements, the media’s presence, public announcements of the Habbas in villages. It required planning at an acute level. Makkala Habbas were community education festivals that took a leaf out of the successful summer camps held in the Blocks in April-May. Each of them was organised as a single, stand-alone event. There was the underlying purpose that gave them commonality, as did the sequence of activities. The template was broadly the same, but every Makkala Habba turned out to be different, with its own stamp. The objectives were: to raise awareness in the community about the school system and their role in it; provide children with learning opportunities, a space to explore their talents and get them to use their holidays in an effective way; make parents aware of their children’s learning; and enlist the involvement of local youth in primary education in their villages. There was a lot that happened for children at the Habbas – challenging games like the play tree, memory game, pick and speak; drawing a village map, quiz competitions; an ASER (Annual Status of Education Report) test to determine competence in Mathematics and English; craft, drawing and painting; village processions highlighting the importance of education; guest lectures; a tree planting drive; song and story; and inspirational moments. The community participated with great enthusiasm, contributing effort and resources. 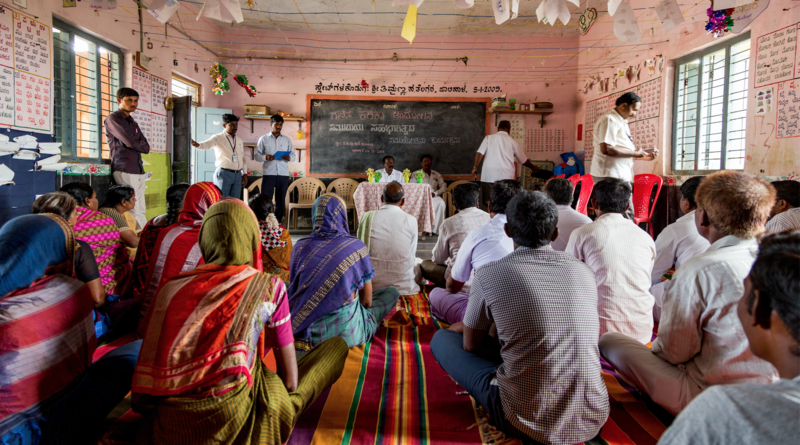 The back-end operations for Makkala Habbas began with the training of volunteers and community meetings. Fifty eight youth volunteers were trained in Hoskote and Devanahalli Blocks; 96 in Kushtagi Block and 52 in Mundargi Block. They led the Habbas, took charge of the process, coordinated with the community, managed the children, all the fun and the learning, and ensured the smooth progression of activities. They were participants as well, in the skits on education at sundown, and in all that transpired those three days. The Hoskote team went about preparing for the Habbas systematically, conducting 17 community meetings in September. They were energising forums for people’s participation. The thrust of the team’s communication to village communities was to take part in education with the conviction that it can be the change-maker their children need. Though the meetings were called explicitly to canvas support for Makkala Habbas, the team never stopped reiterating this message and exhorted parents to involve themselves more forcefully in their children’s education, find out about their learning outcomes, build a stake in schools, propel School Development Monitoring Committees (SDMCs) to address school issues and be a force for change. The topic of Makkala Habbas nudged to the centre of the meetings and the team shared with the community the vision and purpose behind them, the list of activities they had organised, and told them how, with their cooperation and support, the festivals could become enshrined as biannual events in their calendar. Providing learning-enrichment in interesting dimensions for children during the holidays, and an opportunity for parents and the community to engage more constructively with education.